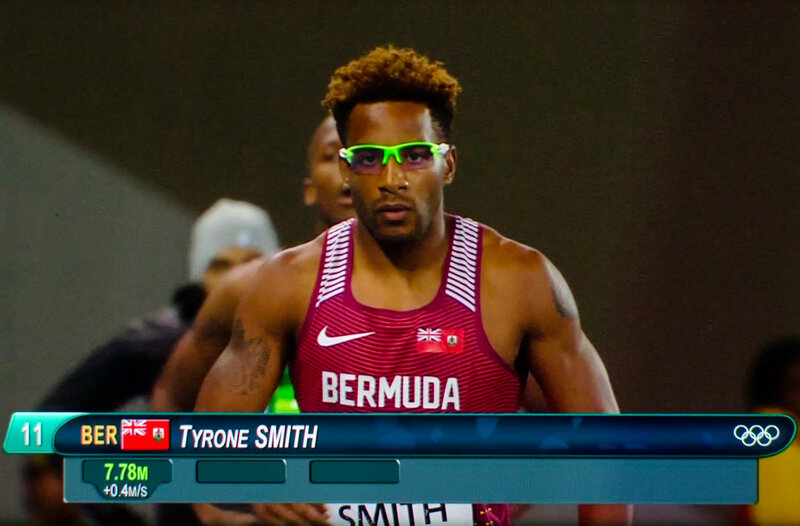 Smith — the Bermuda National Record holder — placed 16th in the long jump with a leap of 7.81. The 32-year-old athlete has represented Bermuda in three consecutive Olympics, and served as the flag bearer during the opening ceremony of these Games. Regarding his performance on Friday, Mr. Smith said, “It was a tough day at the office. The thing about the long jump is the smallest things make the biggest difference. I wasn’t able to see the mistake I was making and it cost me quite a few centimeters. “We fought hard and did have some really good efforts there. One little technical mistake and that’s all it takes. “It gives you the feeling that all the sacrifice and hard work was for nothing because you put so much into it wanting to get something back out of it. When asked about competing in the Tokyo Games in 2020, Mr. Smith said, “I think I will not be in Tokyo. I just turned 32 a few days ago; 36 would be a tall glass of water to expect to still be covering a ten and a half, eleven meters. Well I am proud of your efforts and wish you all the best your future holds! You represented well!!! You may not have a nedal but you are still a winner in Bermuda’s eyes!! Everyone should b e proud of you, gosh you got to the Olympics, that alone is a wonderfulk achievement. Congratulations and the hard work was all worth it. Tyrone Smith you have accomplished so much. I am proud of you. It is not easy getting to the Olympic status and you have done it. You are a winner no matter what. Even if you don’t have a piece of metal in your hand you have a metal in you heart. Be proud because you have done very well. Great job Tyrone you make us all proud on this little island. Enjoy the rest of the games.